What are the Benefits of Implementing a Performance Management System? Performance management could be extremely helpful to increase organizational outcomes by stating clear goals that fit into the strategic plan within the organization. Organization’s objectives should also align within the operational plan. Reaching organization’s goals as part of the performance management process encourages employees to work harder and perform better since they will receive valuable feedback throughout the process and be awarded as fitting. The overall communication improves when using a performance management system. There is an increase in communication frequency between the manager and employees. Well-communicated job tasks and changes during the process are essential to create quality work. Employees are encouraged to communicate openly and frequently which, in return, makes their work feel more valued. It is also beneficial that the system has the ability to record any activity. These records of performance are rich in information and facts about the job task progress. In addition, records help to review employees’ performance or discover any communication or task issues during the process. The content is openly visible to both, the manager and the employees, which makes it easier to explain the performance. Frequent performance reviews help focus the organization on task objectives and the business itself. Since everyone has prepared records for review sessions, there is less stress and emotions that play a role in discussions. This all leads to better performance and growth within the organization. Also, performance management systems allow you to set specific time periods for assessing the performance of the organization. Performance management systems increase clear communication and establish effective rules of assessment. Rules clarify the role of an employee, his/her overall goal and how they are being assessed. The objectives of a task have to be clearly stated to have something to assess. 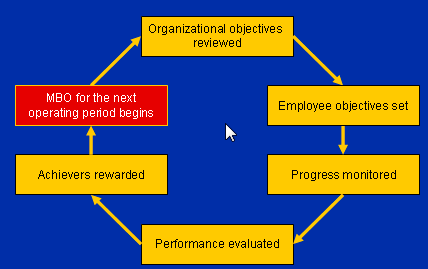 Once these objectives are reached, managers assess their employees based on the level of achievement. With the rules, managers have clear criteria for assessment, while employees have clear criteria they need to reach to excel. The rules properly inform and focus managers and employees on the goals. This eliminates unnecessary issues within the organization. Frequent performance reviews allow for wider visibility of issues and obstacles during the process. The focus can then be brought to the areas which require attention to increase the performance. Adjustments will be made to the areas that need improvement. Looking at the reporting structure, managers can easily discover the root of issues and work towards adjusting the job description, employee(s) responsible for it, or assigning more people if needed to complete the job. Performance management system visually presents a greater plan that helps employees feel as a significant part of a company. Using this system helps them map the interdependence of an organization and the value of each individual’s work. The steps to reach the goal are clearly stated. This helps employees to envision their path towards a major accomplishment. Using the system, employees will be able to see the results of their performance. Most of the systems provide a graphical presentation of your outcomes which then can’t be ignored. If the results are devastating, it calls for a review to find where the mistake was made or where is all began. If the results are as expected or beyond the expected, it shows the commitment of the organization and the achievement as a result of a team effort. Jensen Carlyle frequently writes for business and technology blogs and he is currently working on a survey of BPM software tools, such as Appian, Wrike and JobTraQ.